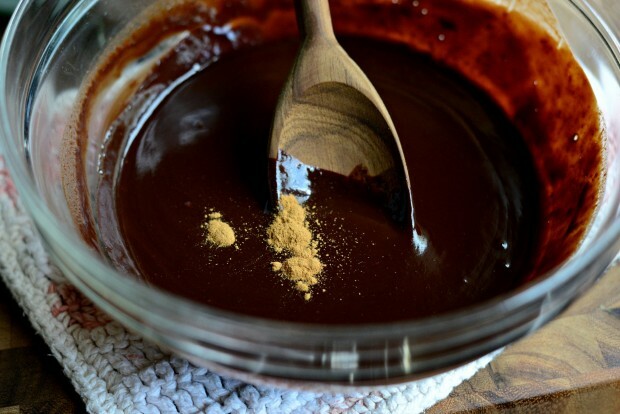 This is a delicious, simple chocolate fondue. Dip fresh strawberries, bananas, pineapple and blueberries or gram crackers, marshmallows or cubed pound cake. 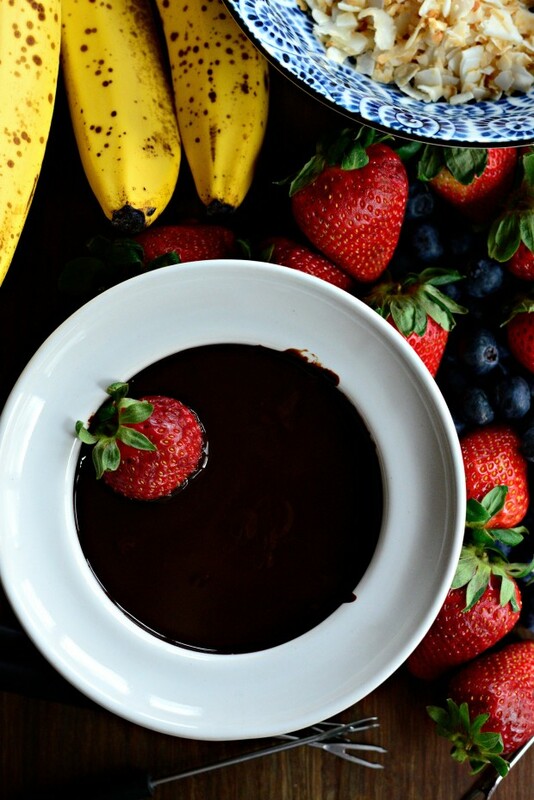 What shouts “Happy Mother’s Day” more than fresh fruit and a bowl of melty chocolate? Okay, so maybe wine too. Wine, fruit AND chocolate for the Mother’s Day win! 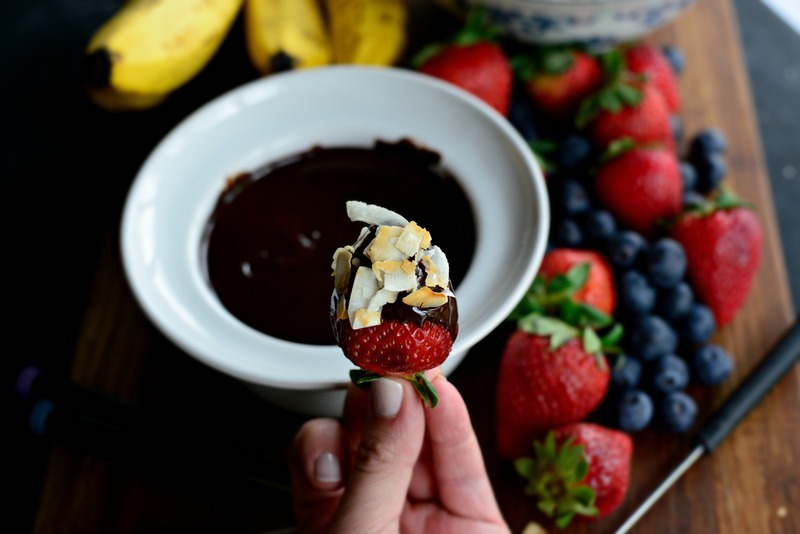 Let me go back and say that no there is not wine in this chocolate fondue (sorry!). But sipping while dipping is totally welcomed. Also, this is not just any chocolate, it’s a good-quality Fair Trade chocolate- to be precise. Yup. 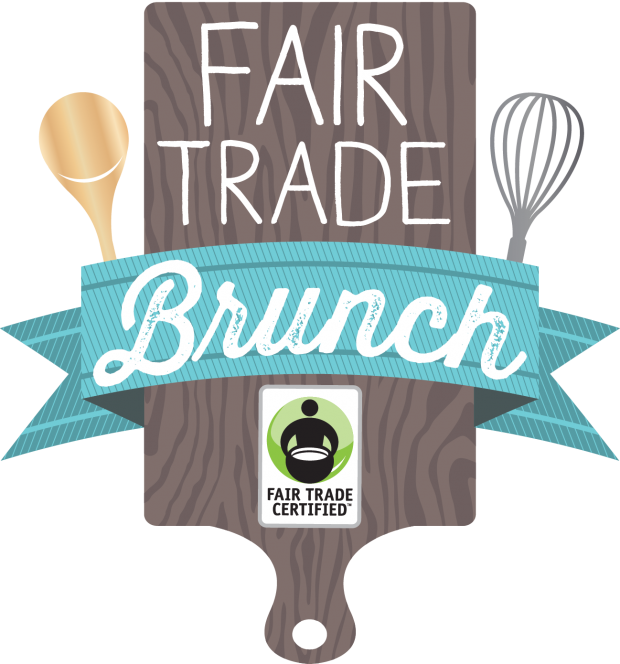 Just like last year I’ve teamed up with Fair Trade USA and several talented bloggers to be a part of a fantastic Fair Trade brunch (and giveaway! ), to not only spread the news about the importance of buying Fair Trade goods but to also share about the women farmers that are behind them. 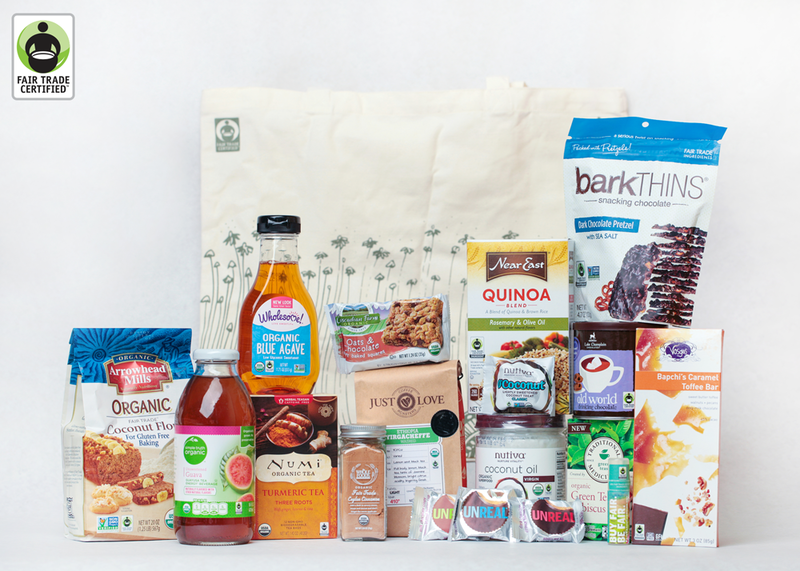 Oh and there’s also a big box of goodies we’re giving away. 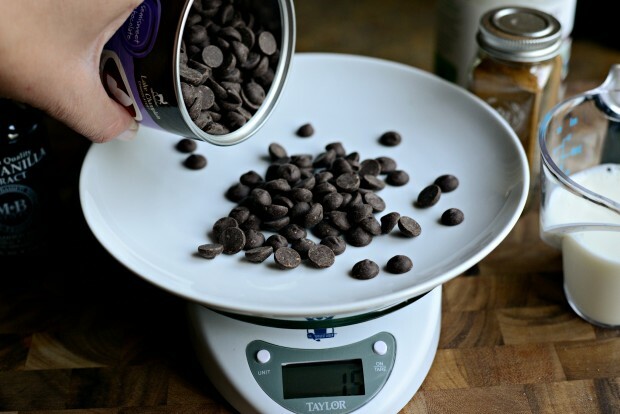 My one rule of thumb is to never, under any circumstances, skimp on the chocolate when making chocolate fondue. 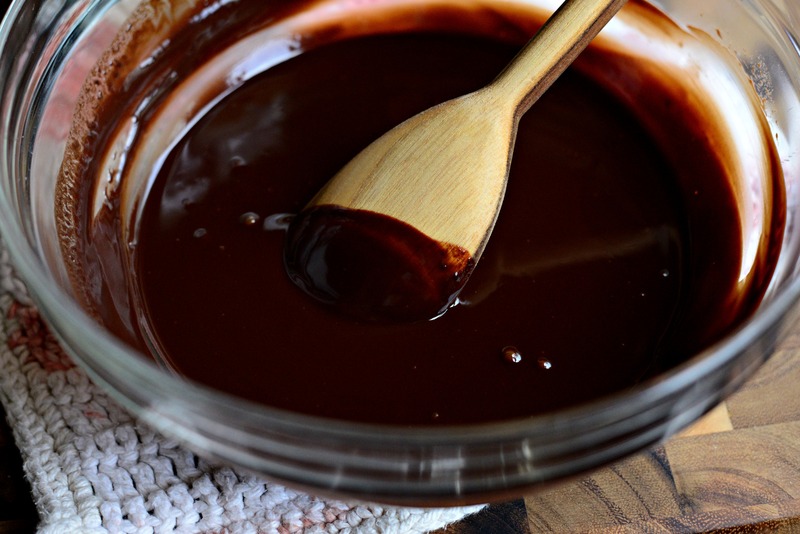 Good quality chocolate is key to making this a deliriously rich chocolate sauce. Some things I like as dippers are; strawberries (obviously), blueberries (try to find large, firm berries), bananas (this may be my favorite), pineapple (just kidding, THIS is my favorite), pound cake, cookies annnnd my fingers. Just kidding, maybe. Just about everything I used for this fondue is Fair Trade. From the chocolate, to the cinnamon and coconut oil. 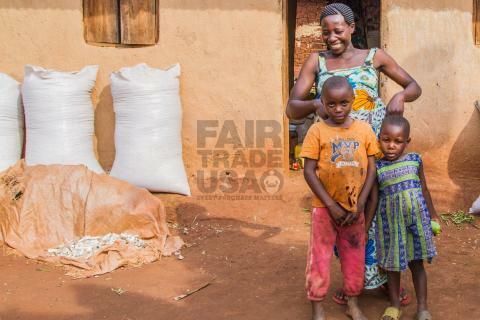 I like knowing that by me purchasing Fair Trade goods, my money is going to help these farmers build upon their community and in return they can continue to work, take care of their family and continue to produce amazing products. This fair trade chocolate is pretty darn good. Just sayin. 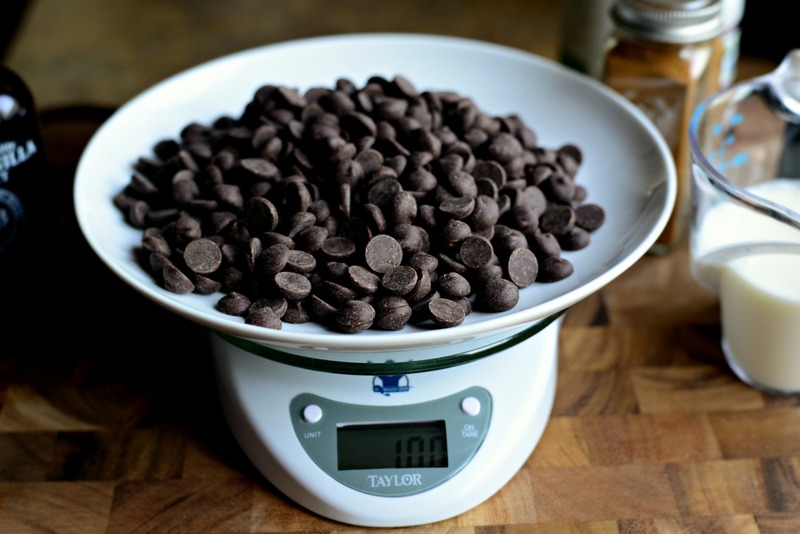 Measure 10 ounces of semi-sweet chocolate. Which is about this entire tin. Any morsels leftover is purely for snacking on. 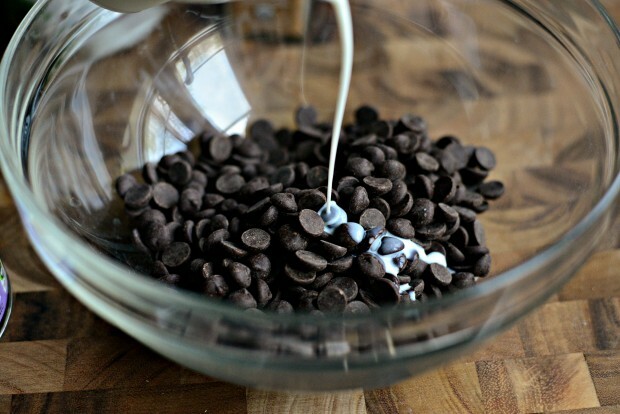 Add the chocolate into a medium bowl. 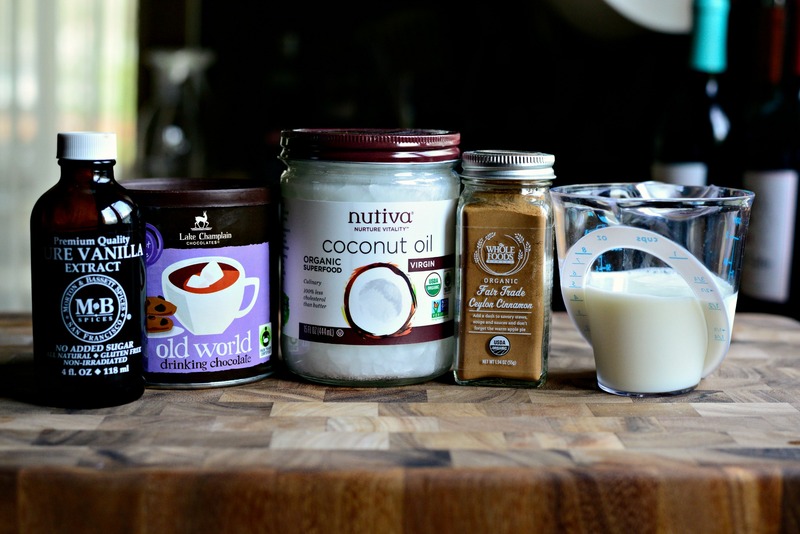 Pour in 1/2 cup whole milk. Set the bowl over a pot of shallow water that is simmering. 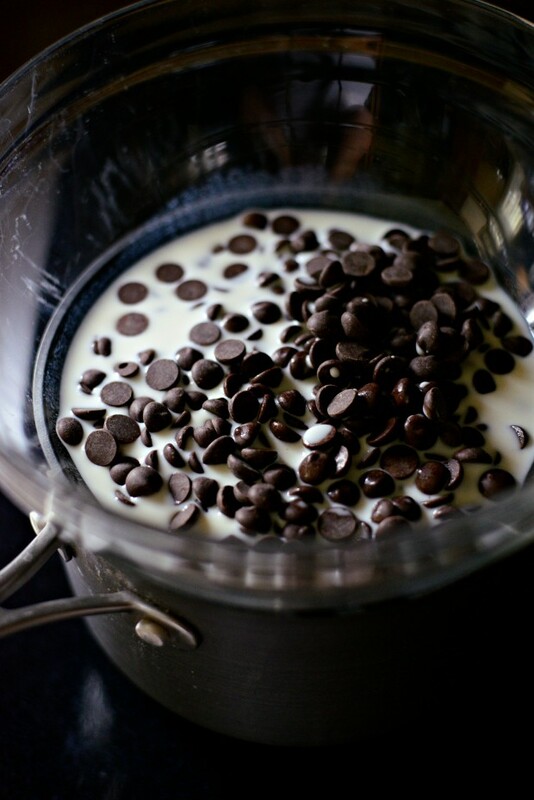 Stir until fully melted and smooth like buttah. Add in 1/4 teaspoon cinnamon. 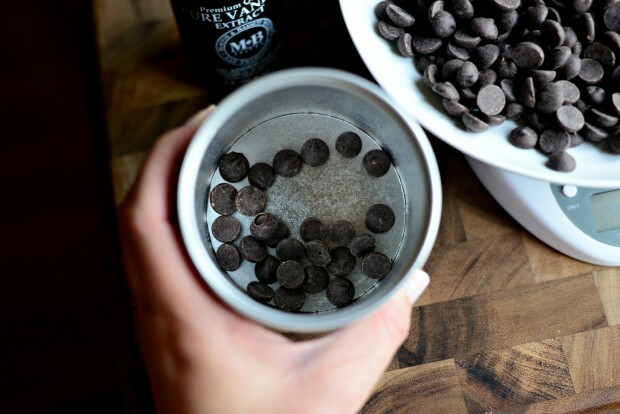 I love the subtle flavor of cinnamon in chocolate, feel free to add more for a little extra pop. 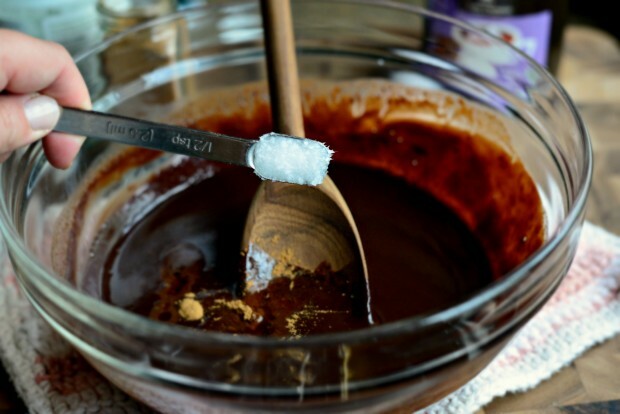 And a 1/2 teaspoon coconut oil, this will give the fondue some gloss. 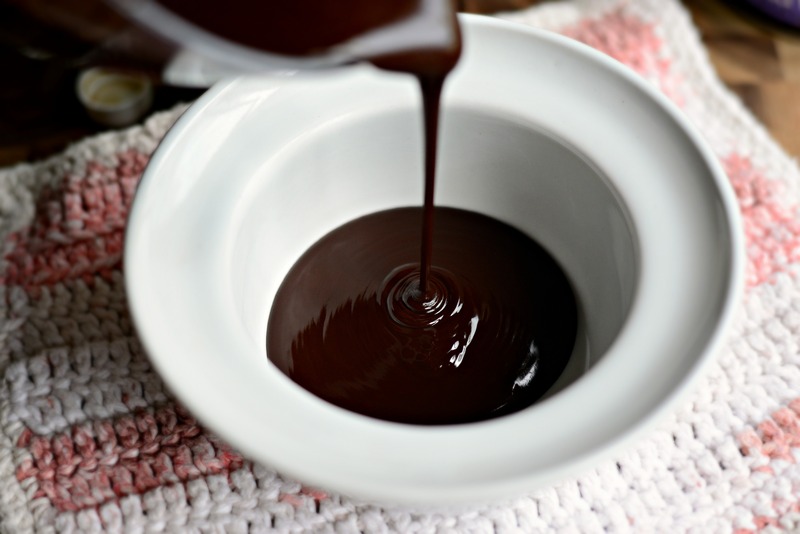 Pour into a smallish bowl, if you have one of those nifty fondue sets with the tealight, use it to keep the chocolate warm and creamy. I was so tempted to replace the bowl with my face. It’s well established that strawberries are pretty good dipped in chocolate. 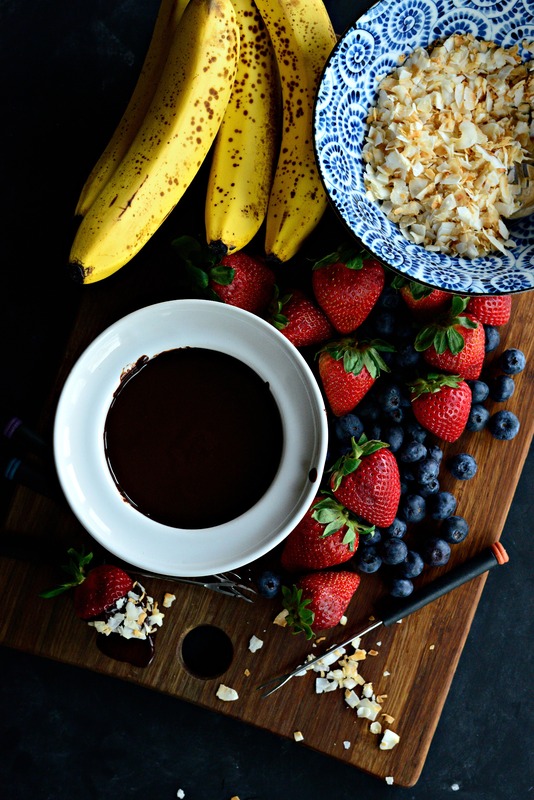 Basically chocolate fondue is a jacuzzi for fruit and things. Blueberries and bananas are pretty fab as well. But pineapple is my jam. I could punch myself in the face for forgetting to pick some up. How could I forget?? Oh and a little toasted coconut action sprinkled over top isn’t too shabby either! So with this fabulous brunch recipe, there’s also a giveaway filled with wonderful Fair Trade products. A HUGE thanks to all the companies that generously donated! Here’s a little info on what a lucky winner will be receiving in the Box-o-Goodies. See!?!? How could you not want all of this delivered to your door step?? Simply enter below and you’re good to go! Note: Fair Trade USA has graciously given me my own box of goodies to develop this recipe with. As always, my opinions are my own and Fair Trade is where it’s at! Enjoy! And if you give this Simple Chocolate Fondue recipe a try, let me know! Snap a photo and tag me on twitter or instagram! Simple and sweet! The perfect chocolaty goodness for dipping fresh fruit, baked goods or whatever your heart desires! Bring a saucepan with about an inch or two of water to a simmer. In a medium bowl add the chocolate and milk. 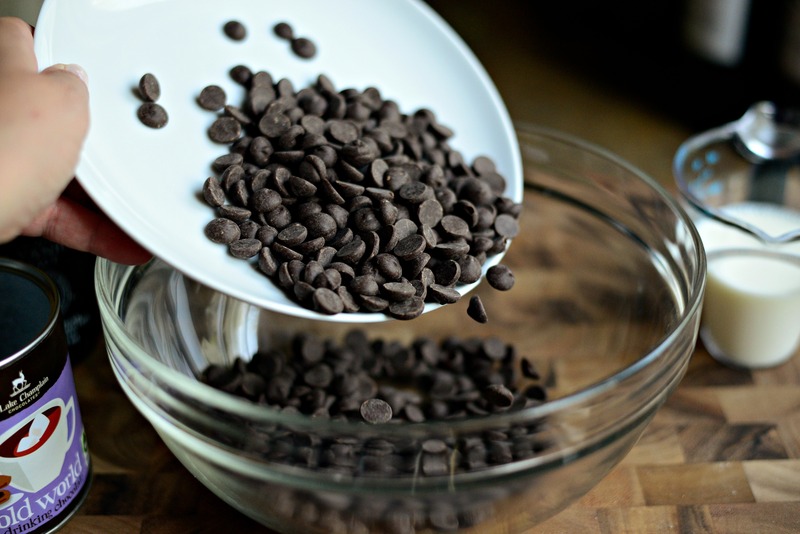 Place bowl over simmering water (water should not touch the bottom of the bowl) to create a double boiler. 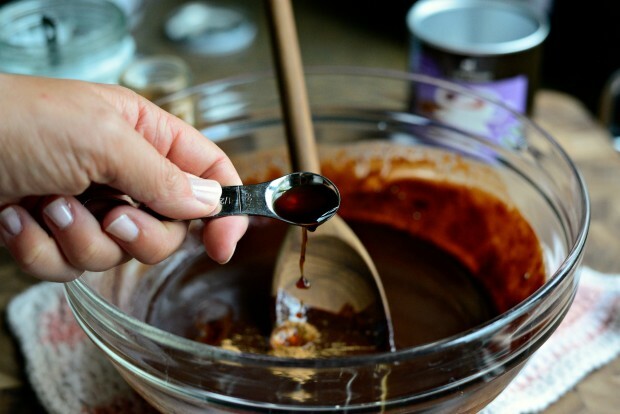 Stir occasionally until the chocolate has melted and is smooth. 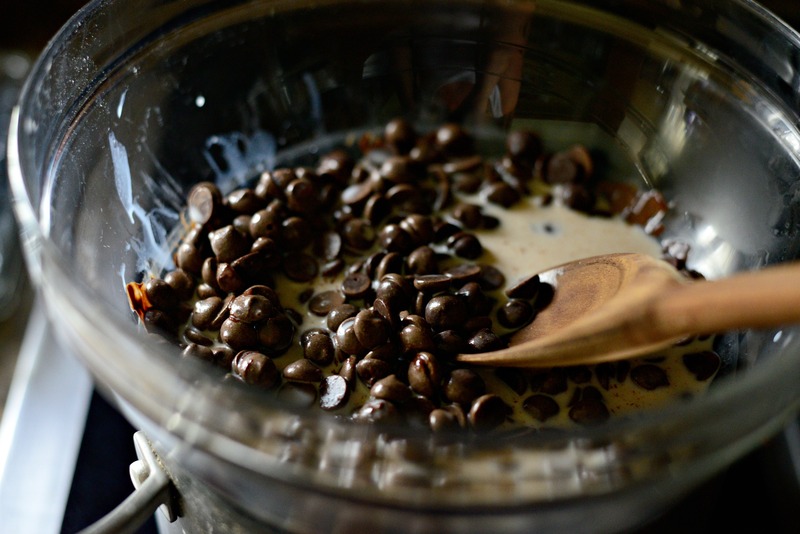 Carefully remove the bowl from the pan and stir in cinnamon, vanilla and coconut oil. Pour chocolate into a heat-safe bowl and serve with fresh fruit (strawberries, bananas, blueberries, pineapple and kiwi) or baked goods like cubed pieces of pound cake or small cookies. 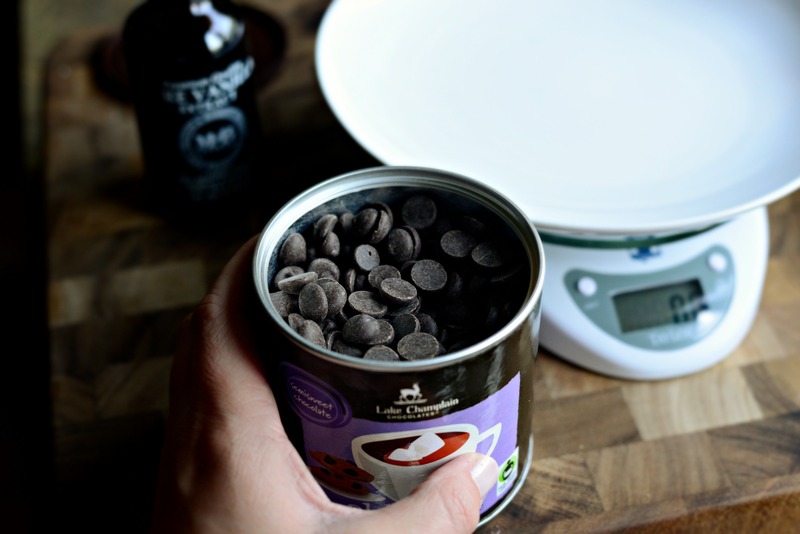 The chocolate fondue can be refrigerated, once cooled, and then reheated again by following the instructions above for a double boiler method. My favorite brunch item is usually the seafood and the dessert. Muffins, mimosas and bacon! weird I know! huevos rancheros, perfect for today! I want to say waffles but I can get down with massive quantities of well made home fries or hashbrowns. Generally, you’re safe with carbs!! my favorite is an omelet. I like baked French toast. Really good pancakes. And of course, lots of maple syrup. I love smoked salmon for brunch! My favorite brunch item is Eggs Benedict! Quiche is my brunch go-to.. though I’ll make waffles for the right crowd! My favorite brunch item is MIMOSAS!!!! Isn’t day drinking the best? I love the fruit but also I love the spinach leek quiche I make. My favorite brunch item is French toast because it’s one of those things that I never make for myself. I love eggs for brunch! Actually for any meal I love eggs, lol. I love scrambled eggs and fresh fruit. I love waffles and pastries for brunch! I love eggs benedict. Thanks for the chance to win! Fave brunch item? French toast, from my German great-grandmother’s recipe. Or pancakes, if I’m cooking! blueberry coffee cake is my favorite! French toast is my favorite. I love a raspberry stuffed French toast!! my favourite brunch is scrambled tofu, thick, fluffy pancakes and fresh fruit! all the fruit! yumm!! Sauteed veggies with a runny egg on top! That would be french toast with some orange juice on the side! I love quiche. I haven’t made one in a long time. My favorite brunch item is definitely eggs Benedict, and mimosas- yum! My favorite brunch item? Strawberry cream cheese French toast bake! Eggs benedict is my favorite! Quiche or crab eggs benedict ! The most important brunch item for me is the coffee. Belgian waffles with strawberries and chocolate (all doused in maple syrup). Plus a soy latte or tea. Yum!! My favorite brunch item is Belgian waffles with fresh fruit. Favorite brunch item: homemade waffles or pancakes & real maple syrup. Oh and BACON! Brunch was made for mimosas–preferably the bottomless kind! Thanks so much for all your fabulous recipes, Laurie–I came across your Double Dark Chocolate Merlot cookies years ago, and have been a fan ever since. What a great giveaway, too! I love French toast, especially stuffed with some cream cheesey stuff. I love gluten free pancakes, turkey bacon, eggs and avocado for breakfast. So tasty! I love eggs benedict with smoked salmon instead of the ham. So good! And of course mimosas! I love Eggs Benedict for brunch . . . with champagne, of course! Those strawberries in chocolate fondue look really maaavelous, though! My favorite brunch item would be breakfast burritos! 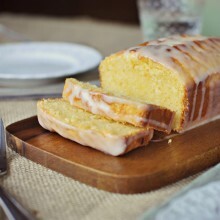 I’ve always been a fan of coffee cake. Muffins are my favorite at brunch! I can never turn down waffles for brunch!! 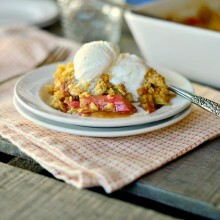 Oh my goodness, this looks delicious! I love just about anything dipped in chocolate! I would say chocolate chip pancakes are my favorite brunch items, or an egg sandwich with a big slice of tomato on an English muffin. Yum! I love omelets! I just wish I had the skills for it! I love waffles for brunch, especially if there is chocolate involved! hands down, fresh berries- any and all. A plate of fresh berries with spinach quiche and a cup of good coffee- brunch heaven! My favorite brunch item is fluffy scrambled eggs (and mimosas)! My favorite is cheese grits! I’m so ashamed, but it would be the never-ending-supply of BACON! I love croissant sandwiches with egg and sausage! Holy moly what a line up for great treats!! 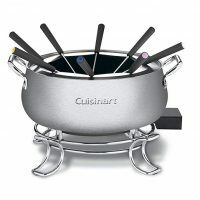 And this fondue – is a fond-must-due for me this weekend! I love having fresh fruit for brunch! My favorite brunch item is any thing with poached eggs. looks amazing!!!! My all time fav brunch item is my tomato tart…but, alas, I’m married to a terrific man who HATES tomatoes…WHAAAAT??? French toast with fruit and bacon! 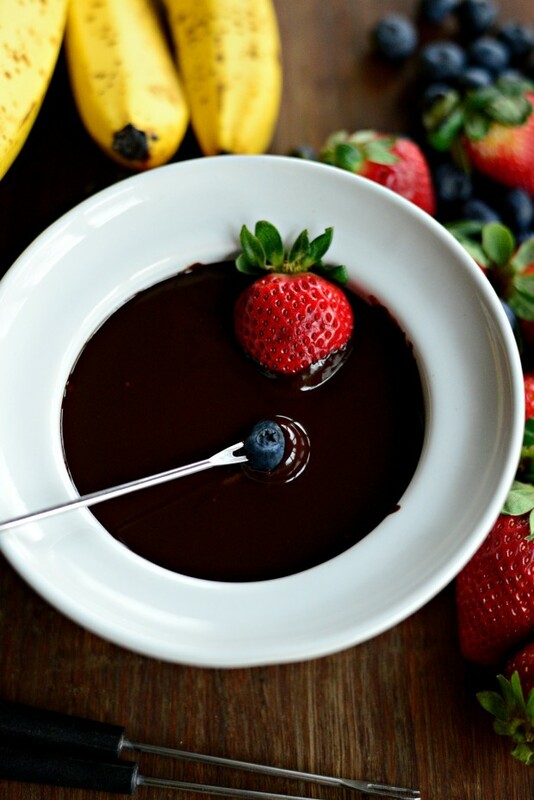 Chocolate fondue looks delicious but I cannot resist some stuffed french toast for brunch! 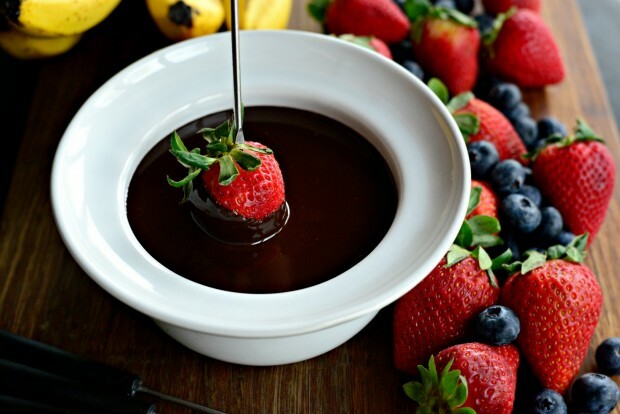 Chocolate fondue is such a great party staple. Everyone loves it and it’s so much fun too! My favorite brunch item is probably french toast. With whipped cream, of course! I love an omelette station. I lack the necessary skills required to make my own and so they are a real treat…loaded with veggies and ham and cheese…YUM! I love biscuits and turkey sausage! I was going to say waffles, but those strawberrie look pretty amazing dipped it your chocolate concoction! My favorite brunch item would have to be an omelet! My favorite brunch item is a vegetable omelette with spinach, mushrooms onions and cheddar cheese or else a beautiful French toast. thanks for the fondue recipe by the way, it looks delicious! My favorite is eggs, bacon and avocado on toast. I love a good Belgium waffle for brunch. I am never able to eat brunch because I am at work, so I usually eat snack cakes for brunch. It isn’t the healthiest option, but they can be eaten while I work. If I could though, I would love an omelette or egg burrito. My favorite brunch item is eggs Florentine! I love whole wheat toast topped with a fried egg, avocado, and garden fresh tomato. 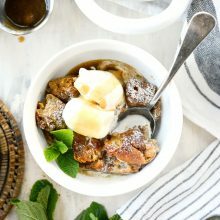 I love stuffed french toast! I love fried eggs on toast. I love simple hard boiled eggs with mustard. I love pancakes very much… too much? Quiche – any kind of quiche – is my favorite brunch food. My favorite brunch item is pancakes or strawberries dipped in anything! Greek yogurt parfait with granola and fresh fruit.